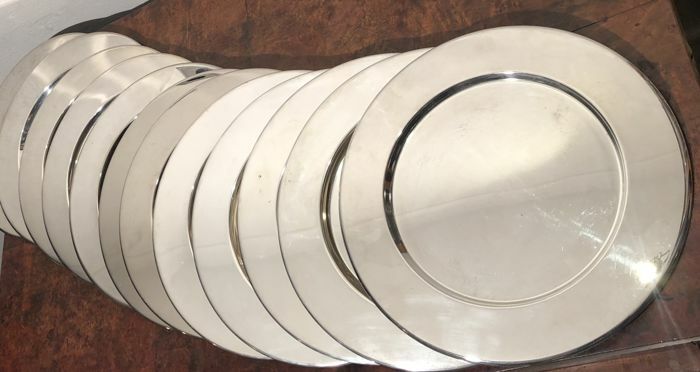 12 silver plated under plates with raised edge, late 20th century. Diameter of the plates per piece 30 cm. approx 500 gram per peace. Condition : They are used so they have minor signs of wear. Package will be sent by registered mail.